Milly polka dot printed silk chiffon "Monroe" gown. 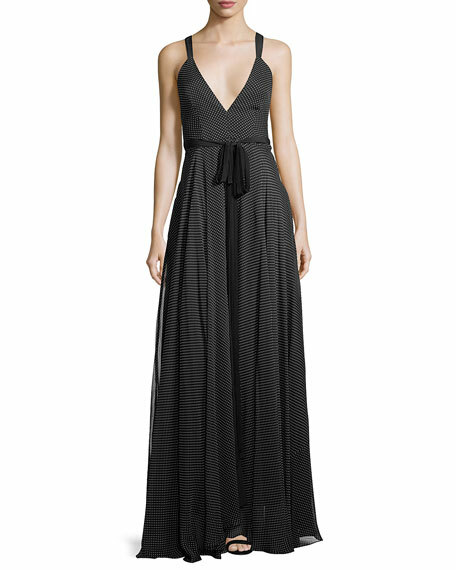 V neckline; crisscross, strappy back. For in-store inquiries, use sku #2416897.